Equip a child for success. Provide a child with an education to learn how to read and write. Reading and writing will equip poor children for success. An education is such a life-changing gift. You can provide a child with the opportunity to learn how to read and write. You can also provide a village with a literacy teacher. 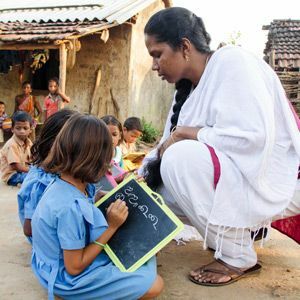 Providing a teacher means a whole village will learn how to read and write. What an incredible gift in so many ways!